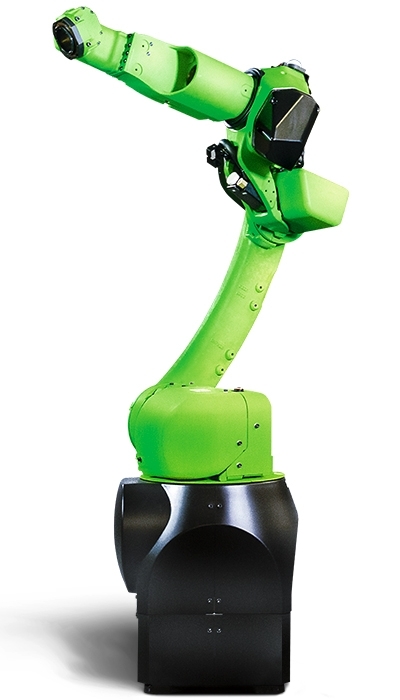 Capable of lifting 15 kg, I’m a powerful collaborative robot that nicely fills the gap between my smaller CR-4iA and CR-7iA siblings and my big brother the CR-35iA. 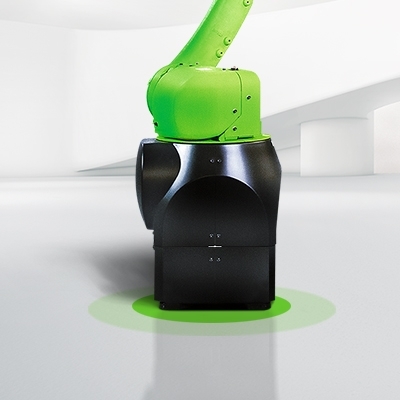 Just like the rest of my family, I rely on proven FANUC technology and a highly-sensitive sensor built into my base. As a result, I’m not only extremely reliable but also an incredibly safe high-performer that can work with or alongside humans on a range of industrial applications such as handling, machine tending, inspection and logistics. 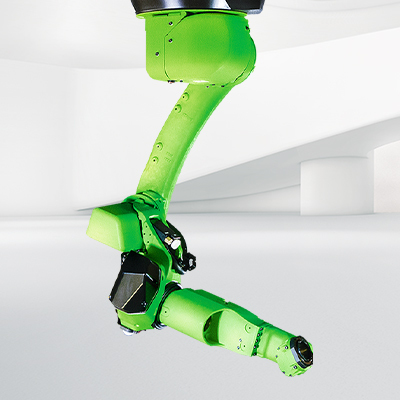 Unlike other collaborative robots that use multiple external sensors, I keep humans safe using a single FANUC Force Sensor built into my base. This makes me incredibly robust and reliable – something my human colleagues really appreciate on jobs where downtime just isn’t an option. Teaching me is just like teaching any other FANUC robot and can be done easily using the FANUC Teach Pendant or offline device. 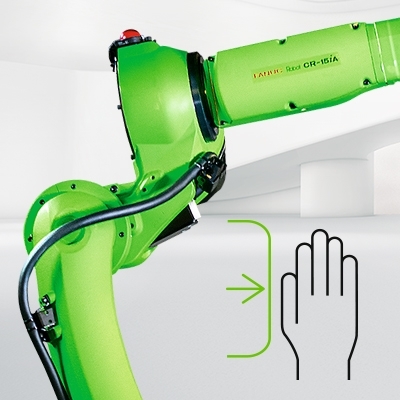 Using optional FANUC Hand Guidance, you can even program me by leading me through the motion points or trajectory necessary to complete the task and recording the path. 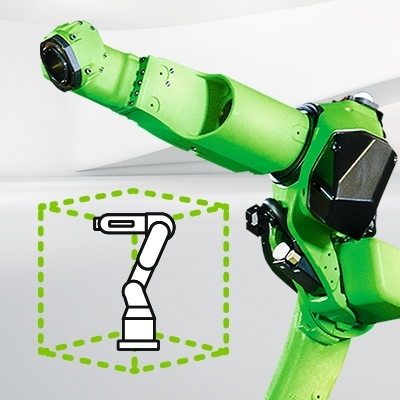 Depending on your needs, I can be equipped with a FANUC Vision Sensor or a FANUC 3D Area Sensor, which enables me to locate or envision workpieces. For maximum shop-floor versatility, I can be mounted upright, inversely or on the wall. But no matter how you choose to install me, my FANUC Dual Check Safety, Safe Stop and built-in anti-trap protection will always ensure I pose absolutely no risk to your workforce. 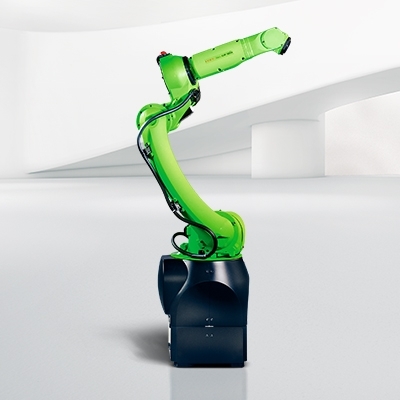 My pedestal design makes me extremely compact and ideally suited to handling applications. It also gives me a maximum vertical reach of 2.413 mm – something that really helps when it comes to loading boxes onto pallets. Horizontally, I can extend to 1.441 mm. Combined with my 15 kg payload this makes me very versatile. With me on the team, humans no longer need to complete physically demanding tasks and are free to focus on more complex- activities. As a result, they stay healthy for longer and issues such as repetitive strain and other work-related injuries become things of the past.